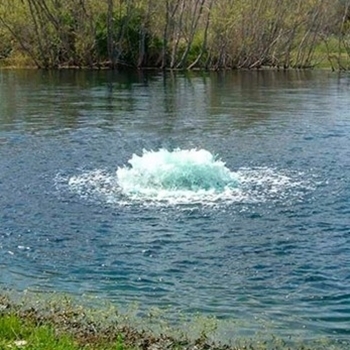 For ponds up to 5 acres in size. Introduce more oxygen faster with the Kasco 5.1AF 5 HP Surface Aerator. Introduce more oxygen faster with the Kasco 5.1AF 5 HP Surface Aerator. 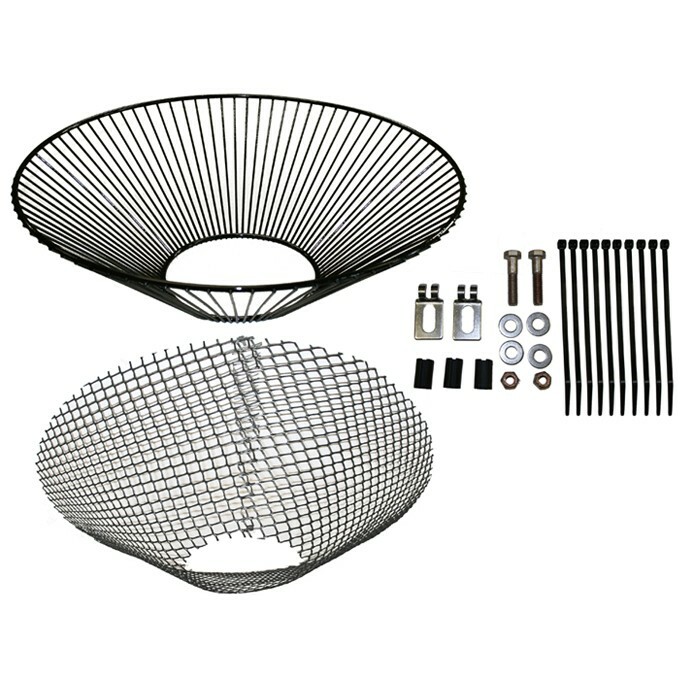 The high-performance design of this aerator uses a single open propeller that creates and pushes water droplets into the air allowing efficient transfer of oxygen to the water. Agitation and movement created by the process spreads the oxygenated water throughout the body of water. The Kasco 5.1AF 5 HP Surface Aerator can operate in as little as 26 inches of water. 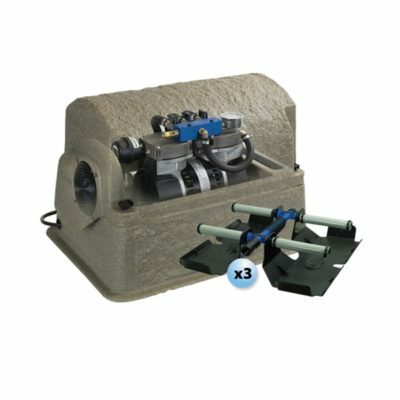 It is ideal for ponds/tanks with surface areas of about 5 acres. The Kasco 5.1AF 5 HP Surface Aerator comes with a lightweight, 2-blade weedless prop, designed to maximize the unit’s water moving performance and cut through even the toughest aquatic vegetation, all without increasing amp draw. 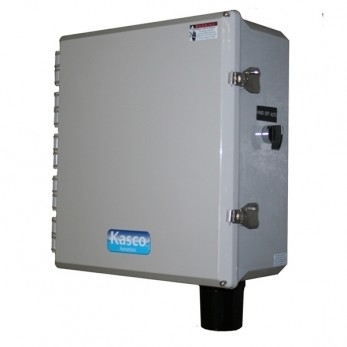 The Kasco 5.1AF 5 HP Surface Aerator is a self-contained unit that floats at the surface. With just three mooring lines anchoring the unit and a single power cord running to shore, the Kasco 5.1AF 5 HP Surface Aerator is easily installed and maintained by a single person. The Kasco 5.1AF 5 HP Surface Aerator is available with an extremely efficient 240 Volt Single-Phase, 60 Hz. motor. All units come with a float, three 50 ft. mooring lines and a bottom screen. An optional control panel is also available. The Kasco 5.1AF 5 HP Surface Aerator ensures a lower overall operating cost while delivering an extremely high dissolved oxygen level. 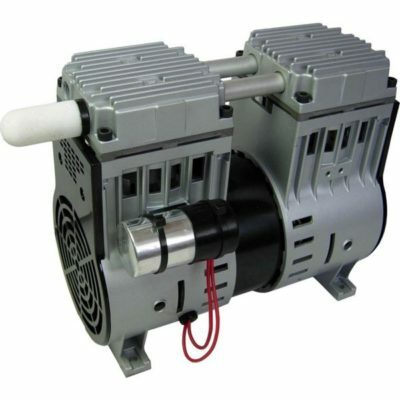 High-efficiency design means low power consumption and low operating costs. 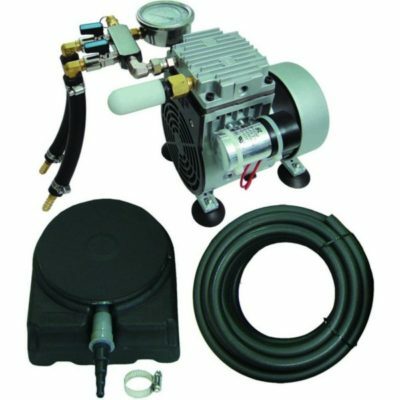 The Kasco 5.1AF 5 HP Surface Aerator is manufactured with a hard-face internal mechanical seal for protection against leaks and is flood oil lubricated for excellent heat dissipation. The Kasco 5.1AF 5 HP Surface Aerator features a corrosion resistant, stainless steel design which also makes it extremely dependable in salt water applications or other corrosive environments. The Kasco 5.1AF 5 HP Surface Aerator increases fish growth and population density while providing efficient water and food circulation with little or no bottom turbulence. The Kasco 5.1AF 5 HP Surface Aerator only requires a 26″ operating depth. Due to their size and/or weight, all models with power cords of 150 ft. and longer ship by truck freight only. Please be aware that our default freight charges do not apply. Truck freight charges are calculated individually based on the shipping destination and will be quoted after receipt of your order. Truck freight shipments will only be processed after receiving your final authorization and approval of the total charges. 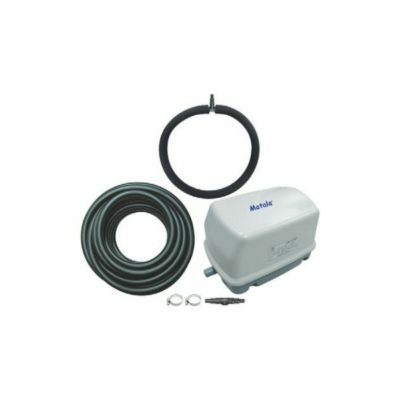 Share the post "Kasco 5.1AF 5 HP Surface Aerator – 5 Acre Ponds – 240 V Single-Phase – WITH Float – WITH Bottom Screen – FREE SHIPPING ON SELECT MODELS"